The love I feel for my rabbits makes it impossible to tolerate others suffering as a result of poor husbandry. This should be easy to improve, as the majority of caretakers want what is best for the animals of which they are responsible, and because most distress follows lack of knowledge about the species`natural needs. I am therefore grateful to be part of making welfare-oriented knowledge more accessible, and thus improve many rabbits`lives. In addition to being companion animals, rabbits are a species we happen to put in many different categories. However, the challenge is that rabbits are rabbits, regardless of whether they are classified as companion rabbits, laboratory rabbits, meat rabbits, fur rabbits, exhibition rabbits or whatever category we find useful. All these rabbits are descendants of the European wild rabbit, and share the same physical and behavioral needs. However, we treat them differently, and thee are even different laws and regulations based on what "type" of rabbit it is. Those of us who care about rabbits should be aware of our responsibility for all rabbits and avoid products that contain angora, fur or rabbit meat. The undercover video, shot by PETA in 2013 revealed routine cruelty to angora rabbits, whose long, soft fur is often used in sweaters and accessories. The barbaric ordeal shocked the whole world, and one could see workers violently ripping the fur from the animals`sensitive skin as they screamed in pain. Disclosures relating to fur and meat production happen continuously around the world. 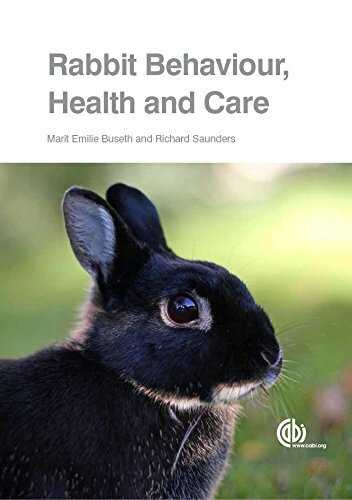 I assume that most people who have read Rabbit Behaviour, Health and Care have an interest in and care for rabbits. We know rabbits. We are aware that they have emotions, that they are capable of learning, and that they have a wide spectrum of needs that must be fulfilled to achieve their welfare. However, all animals have needs- cattle, monkeys, fish, pigs and sheep have the ability to learn and experience pleasure and suffering. How can we treat as many animals with so little consideration when we simultaneously endeavour to give our dog the most satisfying life? Why is it ok for so many people that a hen must stay a lifetime in a malodorous and dark cage the size of an A4 sheet of paper, whilst at the same time they will ensure that their own cat can be comfortable in the sun? How can we accept that a pig will never run outdoors or have the opportunity to practice normale behaviour? Many sows are restricted from any movement when being kept in gestation stalls due to being pregnant most of the time. How can we support separating the offspring of dairy cows from their mother immediately after birth, to be fed milk substitute from a bucket? How do we choose which animals are worthy our respect? A pig is for example as sensitive as a dog, but most people would be upset if a golden retriever and cocker spaniel had to live under conditions that are normal in most barns. Many would likewise find that it was ethically reprehensible if kittens were slaughtered in the same ways as chickens. Today`s agriculture cannot be compared with earlier production, as modern farming is all about keeping the cost down and productivity up. It is our responsibility to choose what we want to support, and if consumers of meat, egg and dairy products show more commitment and moderation, one will eventually affect the poor living conditions of many animals in industrial agriculture. Choose plant-based food or select products from farms that focus on improving animal welfare.